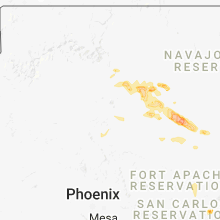 The Tees Toh, AZ area has had 0 reports of on-the-ground hail by trained spotters, and has been under severe weather warnings 9 times during the past 12 months. 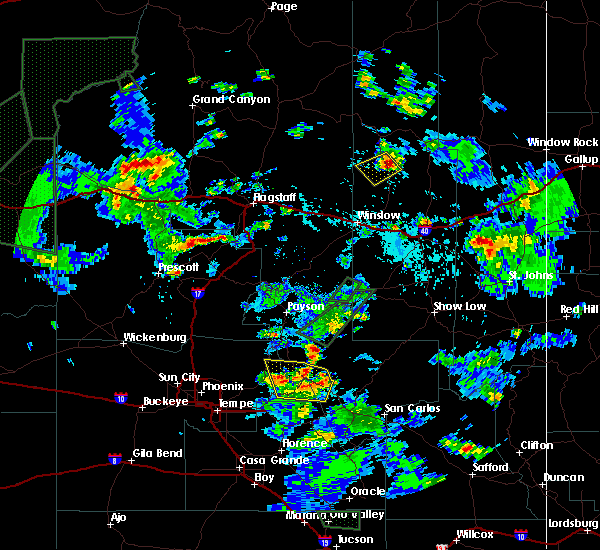 Doppler radar has detected hail at or near Tees Toh, AZ on 5 occasions, including 2 occasions during the past year. 9/1/2018 6:06 PM MDT At 506 pm mst, a severe thunderstorm was located 15 miles north of winslow, moving east at 20 mph (radar indicated). Hazards include 60 mph wind gusts and half dollar size hail. Hail damage to vehicles is expected. expect wind damage to roofs, siding, and trees. locations impacted include, winslow, dilkon, cedar springs, castle butte and homolovi state park campground. this includes the following highways, business interstate 40 between mile markers 252 and 257. interstate 40 between mile markers 246 and 269. state route 87 between mile markers 338 and 382. State route 99 between mile markers 35 and 53. 9/1/2018 5:47 PM MDT At 447 pm mst, a severe thunderstorm was located 13 miles east of leupp, or 15 miles north of winslow, moving east at 20 mph (radar indicated). Hazards include 60 mph wind gusts and half dollar size hail. Hail damage to vehicles is expected. Expect wind damage to roofs, siding, and trees. 9/1/2018 3:15 PM MST At 314 pm mst, severe thunderstorms were located along a line extending from 15 miles north of tolani lake to near seba dalkai, moving east-southeast at 15 mph (radar indicated). Hazards include ping pong ball size hail and 60 mph wind gusts. People and animals outdoors will be injured. expect hail damage to roofs, siding, windows, and vehicles. Expect wind damage to roofs, siding, and trees. 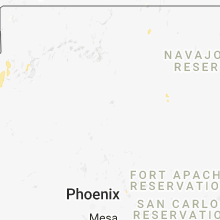 9/1/2018 2:51 PM MST At 251 pm mst, a severe thunderstorm capable of producing a tornado was located 7 miles north of seba dalkai, or 22 miles southwest of keams canyon, moving east at 15 mph (radar indicated rotation). Hazards include tornado and half dollar size hail. Flying debris will be dangerous to those caught without shelter. mobile homes will be damaged or destroyed. damage to roofs, windows, and vehicles will occur. Tree damage is likely. 9/1/2018 2:46 PM MST At 245 pm mst, a severe thunderstorm was located 9 miles north of seba dalkai, or 19 miles southwest of keams canyon, moving east at 15 mph (radar indicated). Hazards include 60 mph wind gusts and half dollar size hail. Hail damage to vehicles is expected. expect wind damage to roofs, siding, and trees. 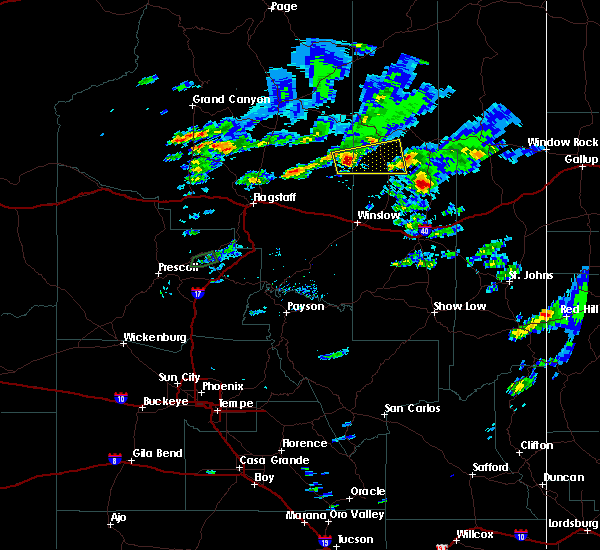 this severe thunderstorm will remain over mainly rural areas of navajo county. This includes state route 87 between mile markers 387 and 403. 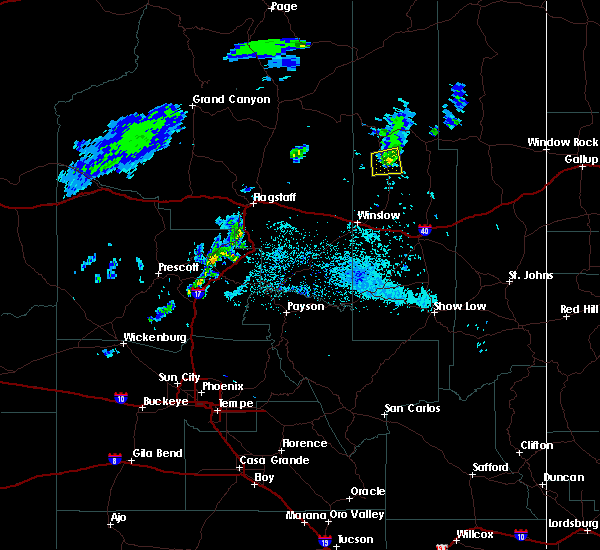 9/1/2018 2:30 PM MST At 229 pm mst, a severe thunderstorm was located 10 miles northwest of seba dalkai, or 23 miles southwest of keams canyon, moving east at 15 mph (radar indicated). Hazards include 60 mph wind gusts and quarter size hail. Hail damage to vehicles is expected. expect wind damage to roofs, siding, and trees. 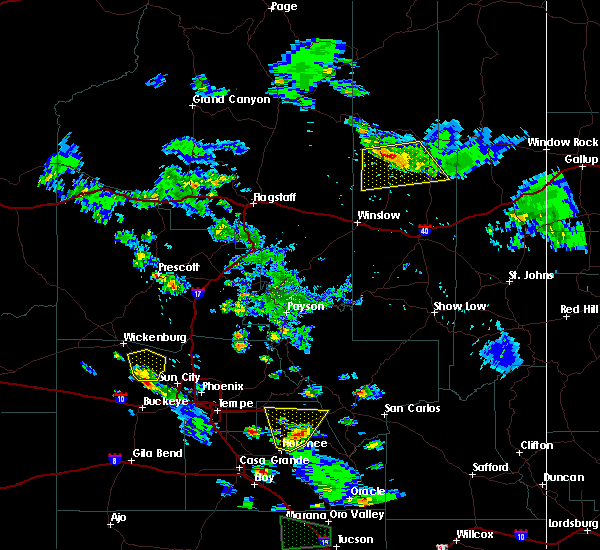 this severe thunderstorm will remain over mainly rural areas of navajo county. This includes state route 87 between mile markers 387 and 403. 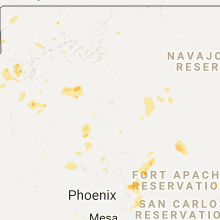 8/26/2018 4:44 PM MST At 442 pm mst, a severe thunderstorm was located 12 miles northwest of seba dalkai, or 29 miles southwest of keams canyon, moving east at 30 mph (radar indicated). Hazards include 60 mph wind gusts and half dollar size hail. Hail damage to vehicles is expected. expect wind damage to roofs, siding, and trees. locations impacted include, tees toh and seba dalkai. This includes state route 87 between mile markers 382 and 400. 8/26/2018 4:26 PM MST At 424 pm mst, a severe thunderstorm was located 9 miles north of tolani lake, or 37 miles north of winslow, moving east at 30 mph (radar indicated). Hazards include 60 mph wind gusts and half dollar size hail. Hail damage to vehicles is expected. Expect wind damage to roofs, siding, and trees. 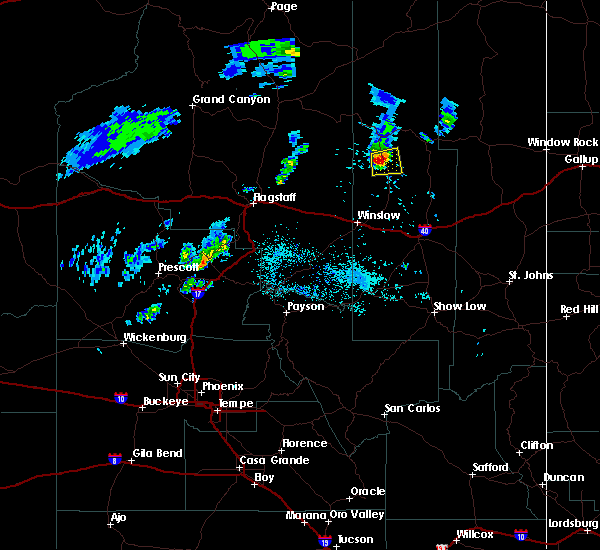 7/18/2017 4:21 PM MDT At 320 pm mst, a severe thunderstorm was located over seba dalkai, or 24 miles southwest of keams canyon, moving southwest at 20 mph (radar indicated). Hazards include 60 mph wind gusts and quarter size hail. Hail damage to vehicles is expected. Expect wind damage to roofs, siding, and trees. 8/27/2016 8:12 PM MST At 809 pm mst, doppler radar indicated a severe thunderstorm capable of producing damaging winds in excess of 60 mph. 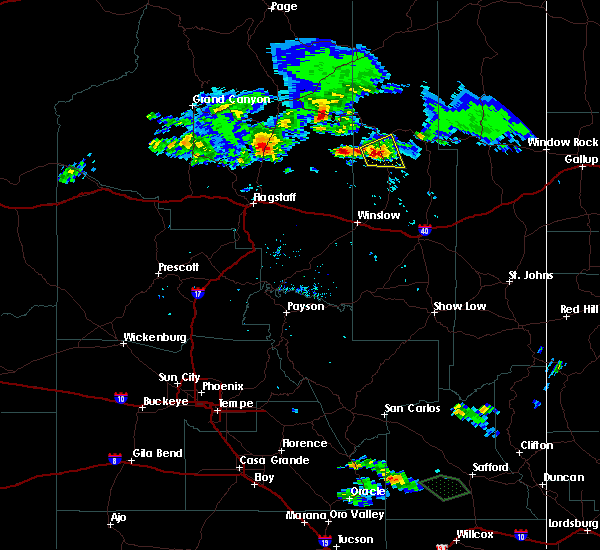 this storm was located near tees toh, or 18 miles southwest of keams canyon, moving east at 15 mph. penny size hail may also accompany the damaging winds. locations impacted include, tees toh and seba dalkai. 8/27/2016 7:46 PM MST At 745 pm mst, doppler radar indicated a severe thunderstorm capable of producing half dollar size hail and damaging winds in excess of 60 mph. 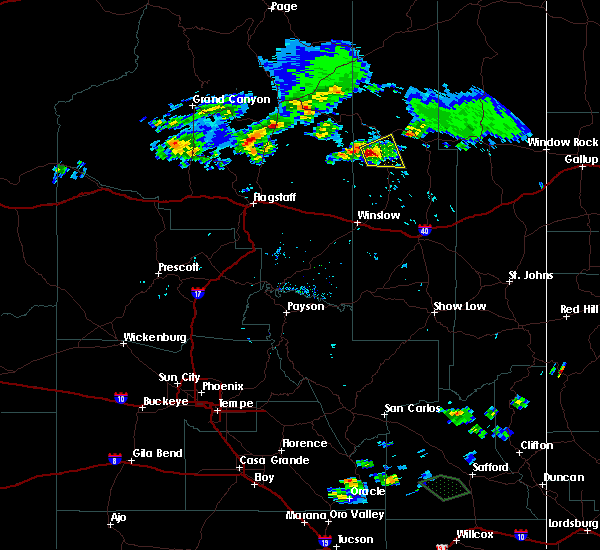 this storm was located near seba dalkai, or 23 miles southwest of keams canyon, and moving east at 15 mph. 8/11/2015 3:38 PM MDT At 237 pm mst, doppler radar indicated a severe thunderstorm capable of producing damaging winds in excess of 60 mph. 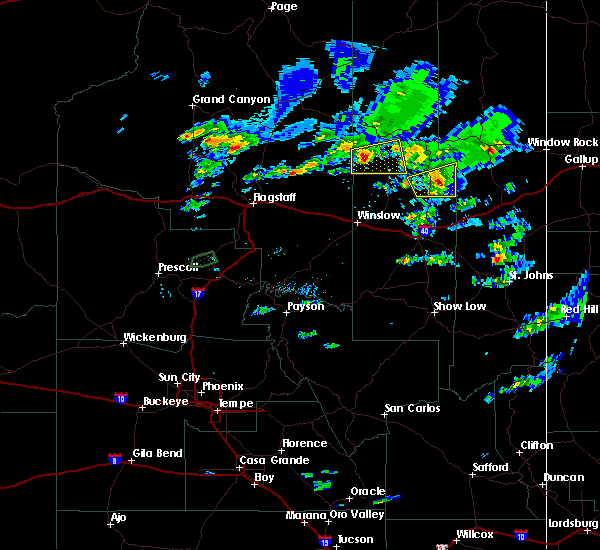 this storm was located over cedar springs, or 28 miles south of keams canyon, and moving northeast at 10 mph. nickel size hail may also accompany the damaging winds. 6/5/2015 10:16 PM MST At 1015 pm mst, doppler radar indicated a severe thunderstorm capable of producing half dollar size hail and destructive winds in excess of 70 mph. 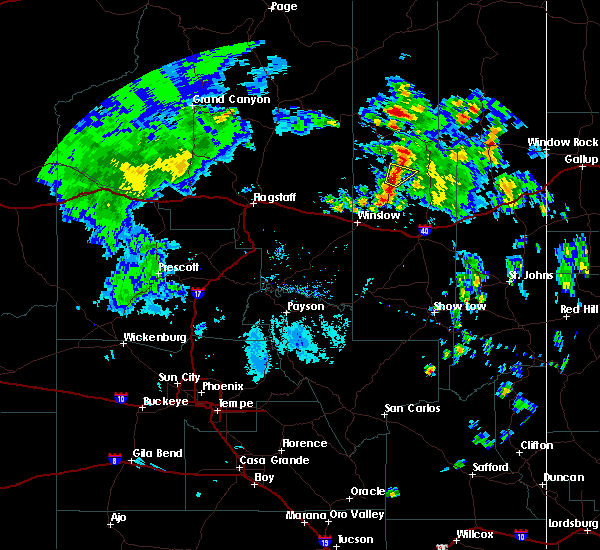 this storm was located near seba dalkai, or 29 miles southwest of keams canyon, and moving northeast at 45 mph.